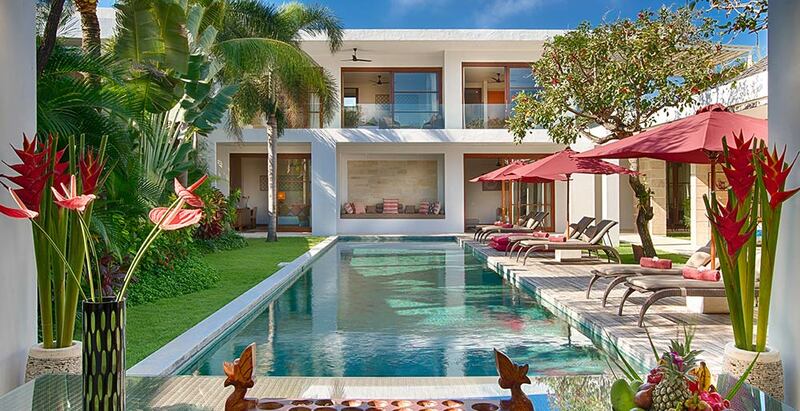 Casa Brio promises discerning families and groups of friends a sparkling vacation in the heart of Seminyak on Bali’s southwestern shore. Contemporary architecture, artful interiors, abundant living space, glamorous bedroom suites and a stunning 21-metre pool define this fully staffed four-bedroom villa that truly lives up to its name (brio is Italian for vivacity, verve). Add a media room, a personal chef, and a fantastic beach-in-ten location – who could ask for more? This is Bali-style tropical living at its best, a quiet retreat for up to 10 guests moments away from Seminyak’s iconic bars, restaurants, spas, boutiques, and expanse of surfing beach.